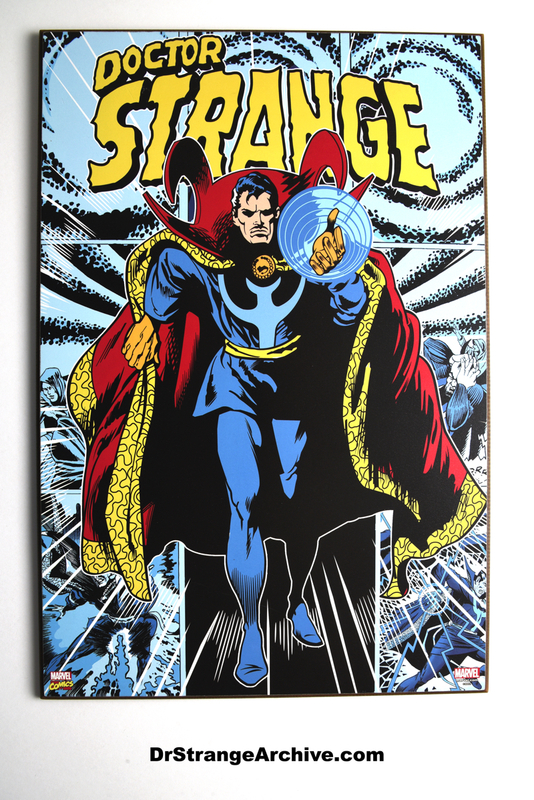 Size: 13" x 19 3/8"
Description: This is a large wall plaque featuring a classic Doctor Strange picture on MFD board under license from Marvel. It has a California compliance sticker on the back dated 10/01/2016. Silver Buffalo is a manufacturer and distributor of licensed home decor and housewares. 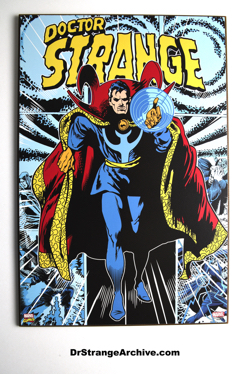 They do everything from mugs to car wraps for various brands such as Marvel, Star Wars and Harry Potter.